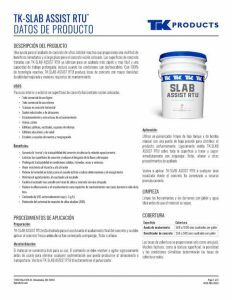 A reactive colloidal silica finishing aid that provides a multitude of immediate and long-term benefits to freshly placed concrete. 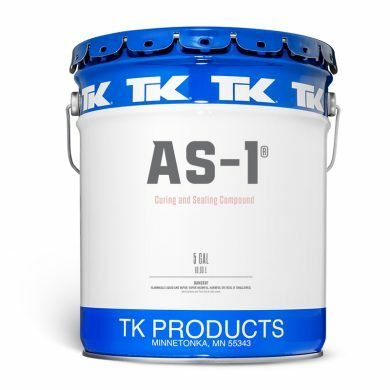 Concrete surfaces treated with TK-SLAB ASSIST are lubricated for faster and easier finishing and prolonged workability, even when conditions are unfavorable. 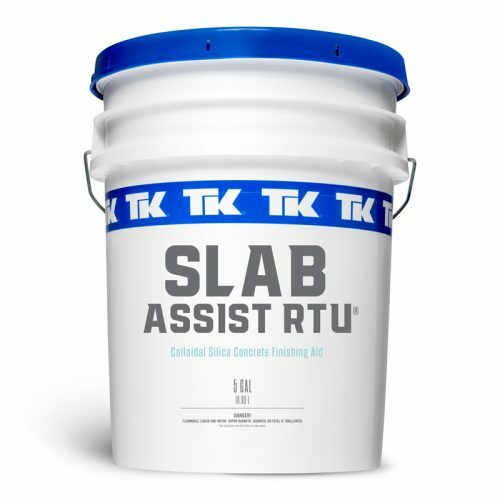 With 100% reactive technology, TK-SLAB ASSIST yields concrete slabs with higher density, improved durability, and lower maintenance requirements. 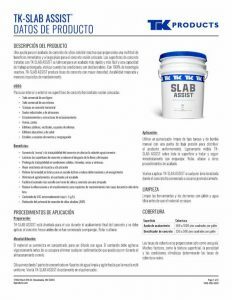 For interior or exterior use on freshly placed, horizontal concrete surfaces. Prolongs workability in hot, humid, dry, and windy conditions. TK-SLAB ASSIST is designed for use during final concrete finishing and should be applied to fresh concrete before screeding, floating, or troweling have begun. Use a clean, hand-pump tank-type sprayer with a low-pressure tip to distribute the product evenly. 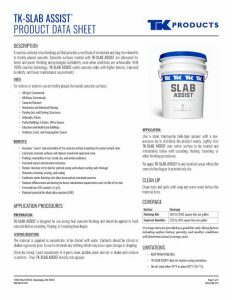 Lightly mist TK-SLAB ASSIST over the entire surface to be treated and immediately follow with screeding, floating, troweling, or other finishing procedures. 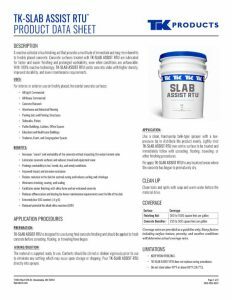 Re-apply TK-SLAB ASSIST to any localized areas where the concrete has begun to prematurely dry. Clean tools and spills with soap and warm water before the material dries. Coverage rates are provided as a guideline only. Many factors including surface texture, porosity, and weather conditions will determine actual coverage rates.